In this video Stephen Downes, convener of the E-Learning 3.0 MOOC explains that in the future our safety and security online will be managed through the use of identification keys. We will each have a private key and a public key, which we will plug into our computers instead of signing on with a password. In the future everyone will be logging in like this and passwords will become a thing of the past. Why do we need two keys? This is to ensure maximum security and encryption. The two keys act like a two-way security system. We can think of our private key as our ‘key’ and our public key as the ‘lock’, i.e. the one won’t work without the other. You can only get through the door if you have the right key and the right lock. Robert wants to send Katie a file. Robert would request Katie’s public key to encrypt the file and then encrypt it with her public key. Robert would then send the file to Katie. Katie would then decrypt the file with her private key. Stephen in his video (starting at about 7.00 minutes in) explains this in more detail and makes it very clear that a signature on the sent encrypted message would be needed to make it absolutely secure, otherwise you couldn’t be sure who had the public key. The point is to be able to prove who you say you are and keep your communications online safe, without the use of passwords. Your digital identity (based on your identity graph/s) becomes your public key, which is unique to you, and your private key keeps you safe. Hopefully there will be more courses like this one which will help us to keep abreast of developments and where we are headed. This is only a brief summary of the key points in Stephen’s video, as I see them. You need to watch the 25 minute video to get a more complete picture. Public-key cryptography, or asymmetric cryptography, is any cryptographic system that uses pairs of keys: public keys which may be disseminated widely, and private keys which are known only to the owner. This accomplishes two functions: authentication, where the public key verifies that a holder of the paired private key sent the message, and encryption, where only the paired private key holder can decrypt the message encrypted with the public key. This is my Keybase page. Here’s what Keybase says about itself: “Keybase is a new and free security app for mobile phones and computers. 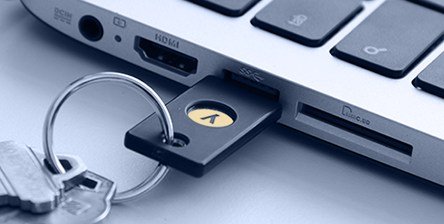 For the geeks among us: it’s open source and powered by public-key cryptography. Keybase is for anyone. Imagine a Slack for the whole world, except end-to-end encrypted across all your devices. Or a Team Dropbox where the server can’t leak your files or be hacked.” See also (very technical) Keybase for Everyone. And Keybase writing to the blockchain.